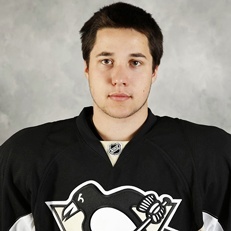 We all kind of waited for this moment and finally it came as the Penguins shipped woe begotten defender Derrick Pouliot to hockey Siberia and the Vancouver Canucks. In return the Penguins pick up a 4th round pick in the 2018 draft and 24 year old, 6'5" 213 lbs defender Andrey Pedan. Let's take a look at some Pouliot highlights.